On my previous post, I had you making your own almond milk. At the very end of the recipe I told you, DO NOT THROW OUT THE ALMOND MEAL! This is why. Almond meal can easily replace Whole wheat flour in many recipes. 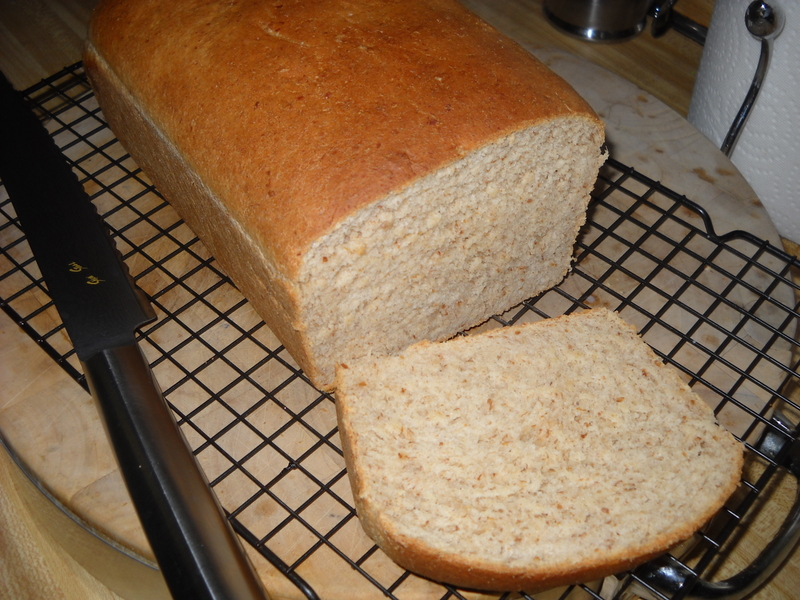 I altered the recipe found in “My grandmothers recipe for whole wheat bread” (in a previous post on my blog), except this time, I removed the whole wheat flour and replaced it with Almond nut meal from making my last gallon of almond milk and used almond milk instead of whole milk. This recipe will use 1 1/2 cups of almond nut meal. I mentioned in my almond milk post that this nut meal is gluten free. That means you can use this in recipes not requiring yeast. Some ideas are banana bread and cookies. If you come up with your own recipes that worked let me know and I’ll make up a batch for everyone to know about here. I want to say something about the latest fad in diets…. Going gluten free. Years ago I was in the medical field. Many of my patients were those were diagnosed with Celiac sprue and other auto immune diseases. Celiac sprue is a disease that affects the small intestine hindering the absorption of nutrients. Those of you that have been diagnosed with Celiac sprue know that the treatment consist of a lifetime of abstinence of any gluten found in the Triticeae family of grains. This is a very difficult diet to follow. I would wish it on no one. Let me be clear, Celiac sprue is NOT a wheat allergy but is a genetically inherited auto immune disease. An allergy to wheat products is a whole other ball game DO NOT confuse the two! If you have digestive concerns due to gluten, get tested. Do not self treat! My reason for bringing this up is this. Going gluten free will also leave you with a diet that is severely lacking in calcium, vitamin D, folate, niacin and iron. You should be under a Doctors* supervision on this diet even if you do not have Celiac sprue. If you are pregnant, tell your Doctor that you are eating a gluten free and have your Doctor prescribe supplemental diet therapy to prevent your newborn from having nutritionally derived birth defects. By trying to eat as if you had Celiac sprue, your body could be as nutritionally starved as if you truly did have Celiac sprue! This is not a diet to play around with. If you do not have Celiac sprue, I would highly advise skipping this one. Note* I have to side with the medical field on this, not health nutritionist. There are serious consequences to a gluten free diet that effect organ and bone function that are way out of a nutritionist scope of training. Please, DO YOUR RESEARCH. But folks, the big reason you’re hearing so much today about going gluten free is an age old reason…money! Every few years, those producing products for the ‘health’ industry roll out a few new reasons you need to change your eating habits. We’ve been hit with, vitamin A,B,C,D, X,Y and Z. Then came the attack on sugar which gave us a myriad of substitutes including High Fructose Corn syrup. Sea salt verses table salt, brown rice verses wild verses Uncle Bens. Good Lord, the list goes on and on and on. As long as you keep chasing after each new miracle diet, the health industry keeps raking in the bucks! Domino’s Pizza now offers a gluten-free pizza, (for an extra 3 dollars), Frito Lay is offering more than a dozen gluten-free chip products and even Michelob came out with an Ultra Light Cider that’s gluten-free. It’s all about the money! Folks, my grandparents lived a long, long life. They worked hard and ate well. 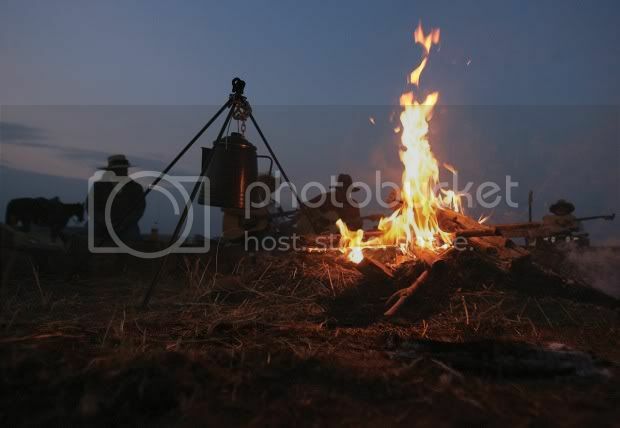 They were western State farmers. When they passed, it was determined they died of…Old Age! Many of my heritage recipes come from my grandma. While I’ve been leaning more and more to the vegetarian side of eating, I am still doing so with my eyes wide open! I am not one to delve into fad diets. They come, they go. Now, back to the darn recipe! The recipe below is one that contains nut meal instead of whole wheat. You may ask, why replace the nutritionally superior whole wheat and not the high gluten flour? Gluten! In order for bread dough to rise it needs gliadin, a prolamin protein called gluten to react with the yeast. These proteins bind to each other causing the dough to not only rise, but it adds flexibility to the bread. Without it, the bread would crumble into pieces when you slice it. 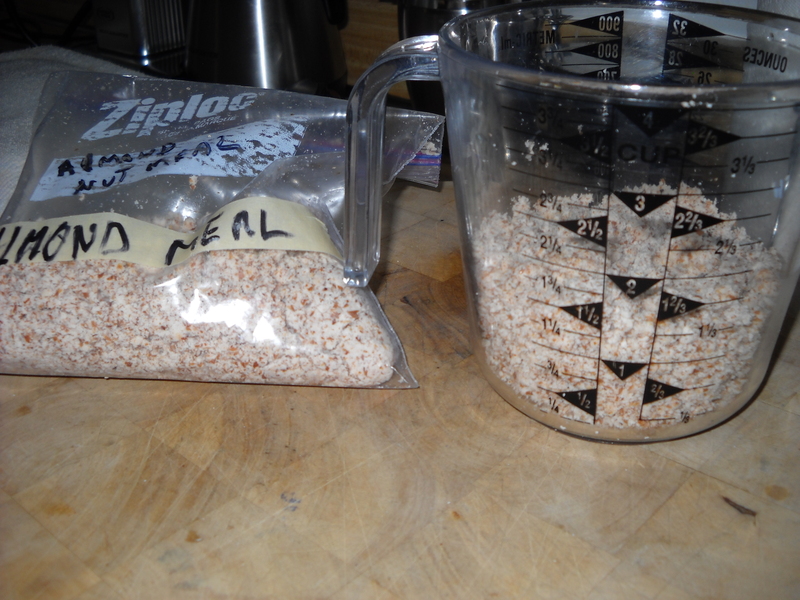 The ratio of high gluten flour (bread flour) to almond nut meal is close to 2:1. This gives just enough nutty taste to the loaf but not too much. 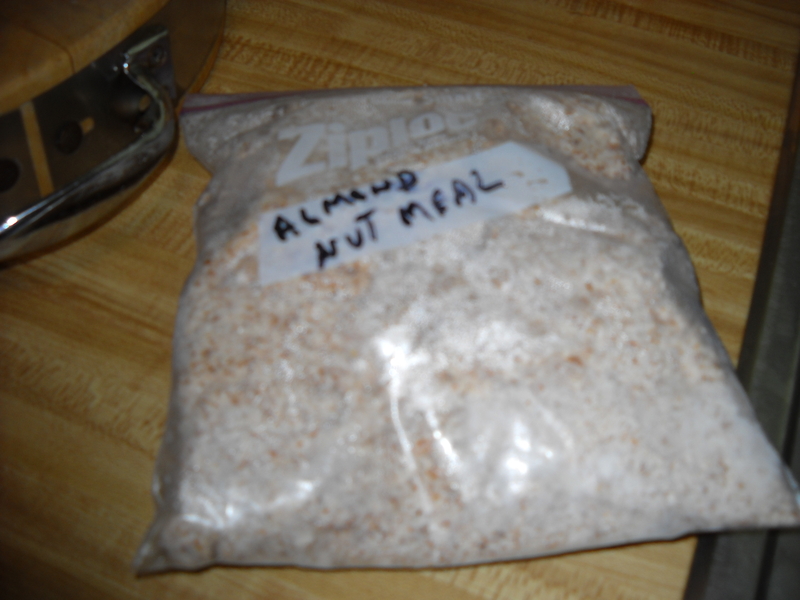 Try this recipe using the almond nut meal from making your almond milk. It is truly delicious! In your electric mixer’s bowl with dough hook, combine and mix together on low, flour and nut meal, salt, and 2 Tablespoons of sugar. In a smaller bowl combine 6 oz of very warm milk, Karo syrup, melted butter, egg yolk, 1 Tablespoon of sugar and 2 teaspoons of yeast. Mix well with a fork and let stand until bubbles begin to form showing that the yeast is activated. In your dry ingredient mixing bowl (flour, nut meal salt, sugar), create a low spot in the center and begin to add the wet ingredients while the mixer is on low speed. Add the entire wet mixture until dough begins to form into a soft spongy ball but not outright sticky. (add water or extra flour as needed ) After mixing for a few minutes, dough should not stick to your fingers when touched but should feel damp. Knead dough for 10 minutes using the electric mixer. After well kneaded, the ball of dough should feel very spongy. Remove dough and place on a lightly floured surface and knead by hand 10 to 15 times forming it into a ball. 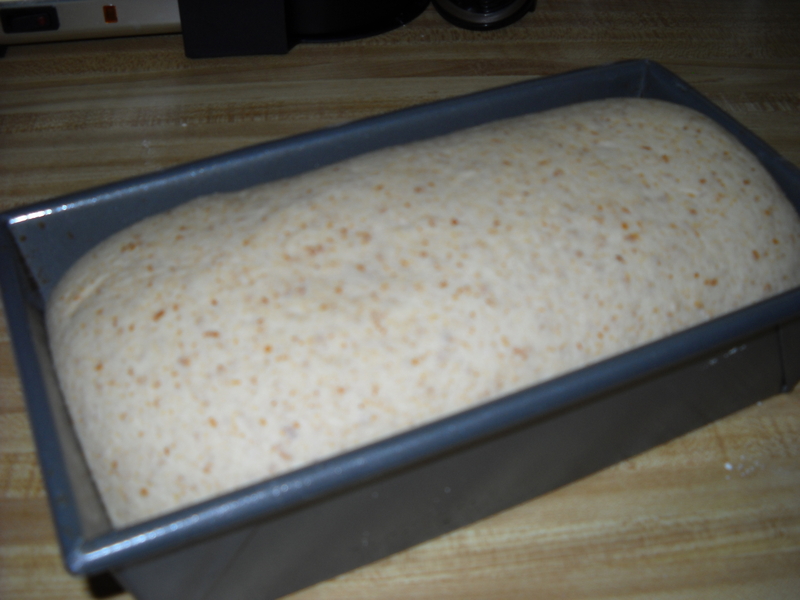 Place dough ball into a large greased bowl to rise. When dough is doubled in size, remove and press down lightly to deflate the dough ball. 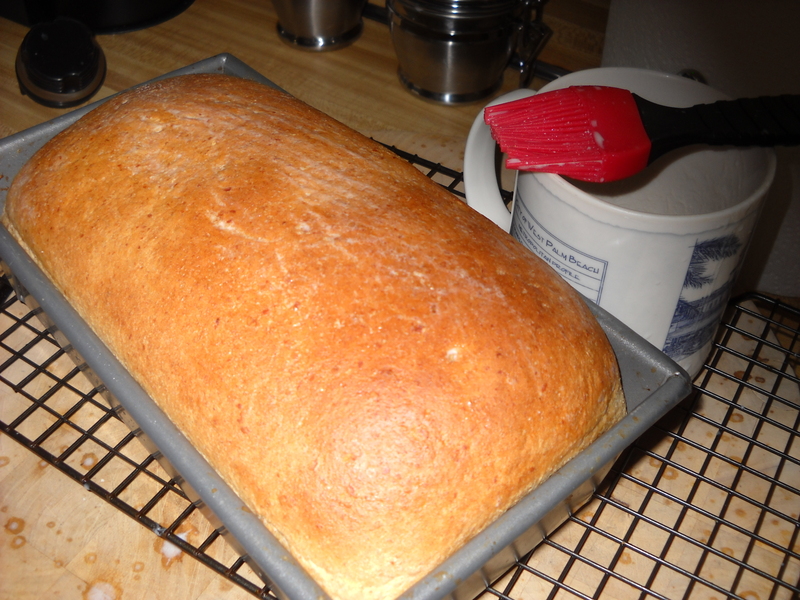 Shape into a loaf and place it into a greased bread pan, let rise until ½ inch higher than lip of pan. Pre heat oven to 350 degrees now. When dough is risen to the desired height, poke holes along the top of the center at 2” intervals no deeper than 1/4″ with a tooth pick to let gas build up escape while rising in the oven. Brush the top of the loaf of bread with almond nut milk and place onto middle oven rack in the center. Set a timer for 35 minutes. Remove when done ( it should sound hollow when thumped) and brush once again the top with a coat of nut milk. 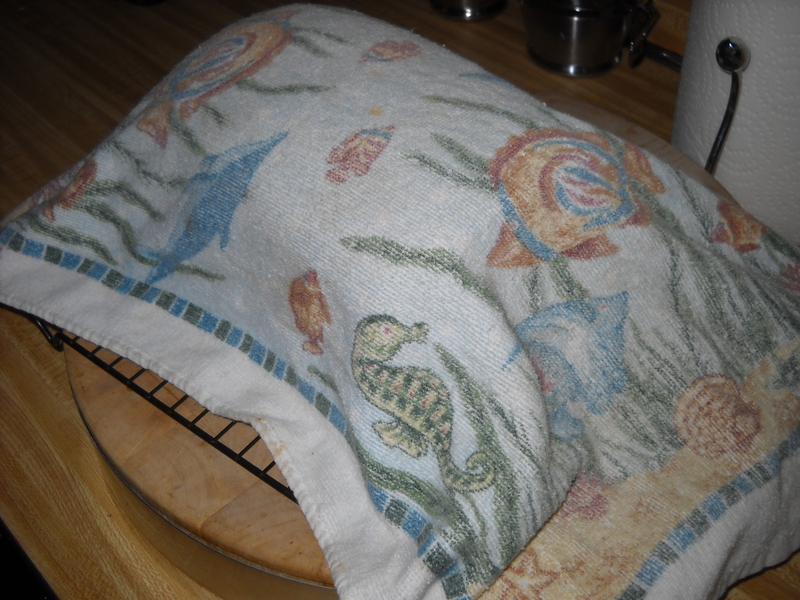 Wait a few minutes after coating the top, then remove the loaf from the pan and cover with a towel to prevent it from losing its moisture while it cools. When completely cooled, place in a plastic bag or bread container to preserve freshness.